Pikesville is a brand of rye whiskey with a longstanding history in Maryland. There are essentially two families of rye whiskey 1) Maryland style which is a barley legal rye, meaning its hardly over 51% rye with a decent bit of corn and 2) Monongahela rye, is a very high rye (up to even 100%). These are usually very spicy whereas the Maryland style has much more sweetness to it. 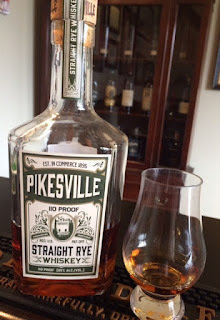 Released in Summer 2015, this is the latest Maryland style rye whiskey from Heaven Hill. Nose: Heavy aromas of cocoa powder and earthiness. A variety of baking spices (prominently clove) float out of the glass and are followed by sweet vanilla, subtle mint, and barrel char. Taste: Extremely herbal with freshly ground green leaves and mint. It's a well balanced Maryland style rye that is both sweet and spicy. Notes of vanilla, honey, and caramel are followed by cloves, anise, and oak. Finish: A subtle bit of anise makes its way onto the finish. Warming and dry, it's slightly shorter than expected. Conclusion: I've grown to prefer the Maryland style rye from the Monongahel. This bottle really hammers that home. If you've enjoyed Rittenhouse or Pikesville Supreme Ryes, then I highly recommend giving this bottle a try! Launched late December 2015, YellowStone Select is the second bourbon whiskey released from the Limestone Branch Distillery and Luxco partnership. Unlike the first release, which was a limited bottling at 105 proof, this is a younger, lighter bourbon that will be available nationally. Nose: Bright with orange peal, honey, dried fruits, walnuts, and leather. Taste: Sharp with loads of rye, black pepper, and a plethora of baking spices. There is a shallow sweetness that follows, with dark chocolate dipped cherries. Also on the palate, subtle notes of raisins, nuts, and toasted oak. Finish: Medium in length and mellow; subtle spice with a sugar sweetness. Conclusion: This drinks like a 5 year old bourbon, but there is still a bit of depth and oak to tie everything together. 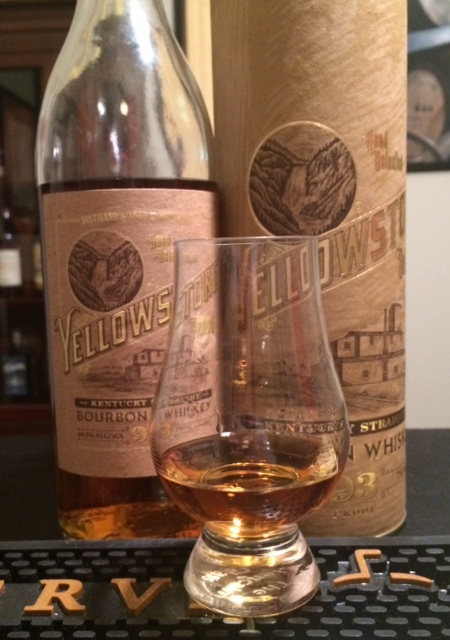 It's not as robust as the YellowStone limited release, and at the price, I recommed trying it before you buy. Bourbon Brothers Review: Coming Soon! Russell's Reserve whiskeys are handpicked by father and son Master Distiller duo, Jimmy and Eddie Russell. Jimmy has recently retired, but these two gents have a combined 90 years of experience in the bourbon industry. Russell's Reserve is known as the higher end, yet readily available line of Wild Turkey products. I think it's worth noting that the Distillery has recently relabeled the majority of their products; I first saw these new Russell's Reserve labels in late 2015, and think they look damn good. Nose: Pleasant with a plethora of barrel sweetness. Toffee, cane sugar, vanilla, and toasted oak. Taste: A rich, bold burst of rye spice and black pepper linger on the palate. Vanilla, glazed pastries, corn, and toasted oak help mellow out the back end. Finish: Medium in length with a slight bite. Conclusion: This particular barrel was aged in warehouse H on the 7th floor. Barrels aged in the center section of a warehouse will typically yield a well balanced whiskey, and this bourbon is exactly that; sweet yet spicy, sharp yet smooth. While I enjoyed drinking this neat, the burst of rye and pepper spice also make a great cocktail.